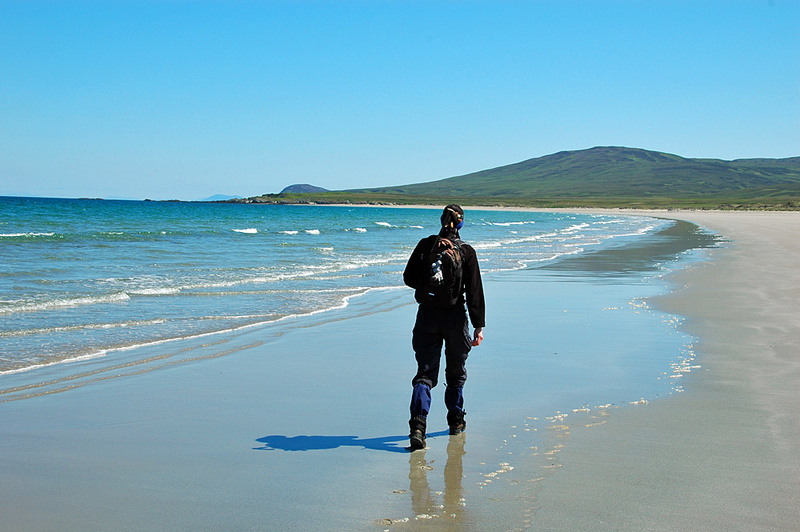 One of the best beach walks on Islay is the walk along Traigh Baile Aonghais to Gortantaoid Point. This is my sister Imke on the walk on a beautiful June day a few years ago. We had left from Killinallan Gate, walked around Killinallan Point and past Gortantaoid Point continued to Mala Bholsa. This entry was posted in Beaches, Landscape, Repost, Sunny Weather and tagged Gortantaoid, Islay, Mala Bholsa, Traigh Baile Aonghais by Armin Grewe. Bookmark the permalink.